The Cherenkov Telescope Array (CTA) is the world’s largest high-energy gamma-ray observatory. Credit: Gabriel Pérez Diaz, IAC / Marc-André Besel, CTAO. The project is being developed by the CTA Consortium. Credit: Gabriel Pérez Diaz, IAC. 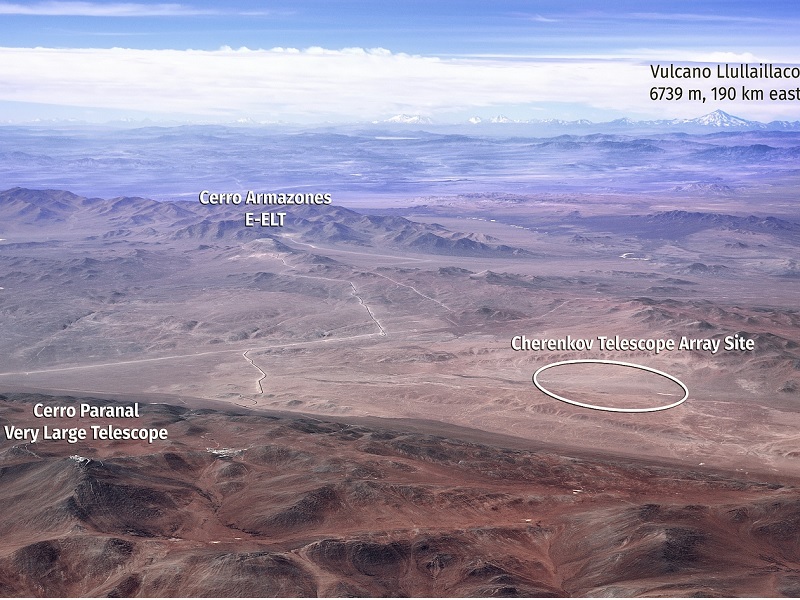 Construction of the CTA is expected to be completed in 2025. Credit: Marc-André Besel, CTAO / ESO. 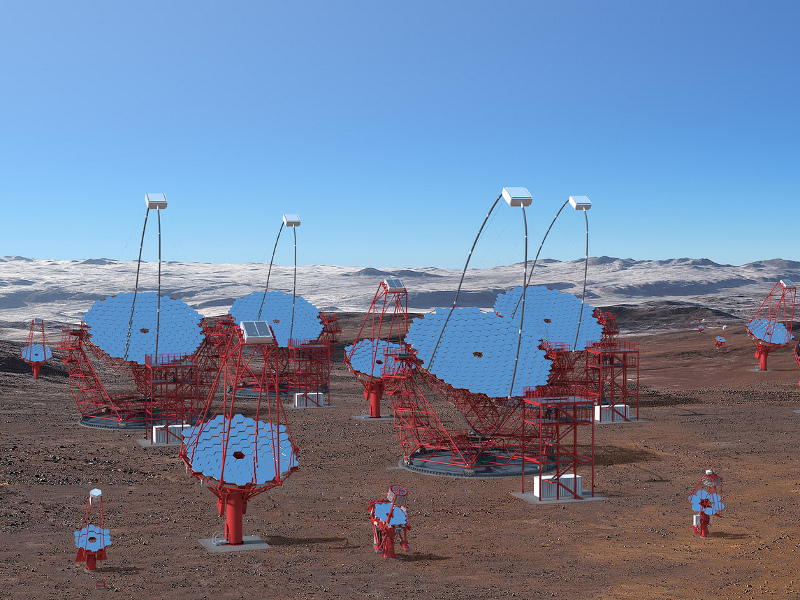 The Cherenkov Telescope Array (CTA) project involves the development of a ground-based gamma-ray observatory by the CTA Consortium. Once operational in 2022, it is expected to be the world’s biggest high-energy gamma-ray observatory. The CTA Observatory (CTAO) is a combination of northern and southern CTA arrays. It will be the largest open observatory integrating two different arrays of imaging atmospheric cherenkov telescopes (IACTs). The first telescopic array of the CTA will be located at the Roque de los Muchachos Observatory in La Palma, Spain, in the northern hemisphere. The second array will be built at an altitude of 2,100m near the European Southern Observatory (ESO) in Paranal, Chile, in the southern hemisphere. The highly sensitive CTA will track the gamma radiation emitted from supernovae and large black holes, with superior precision. The CTA Consortium is a multi-national group comprising more than 1,500 skilled professionals from around 200 reputed establishments in 32 countries. Science goals of the observatory will be devised and directed by the consortium, which is also responsible for the array design and supply of required components. Plans for the establishment of a ground-based gamma-ray observatory were proposed by scientists in 2005. The first community meeting for the CTA project was held in 2007 and the CTA consortium was formed in 2008. The CTA project was inducted into the roadmap of the European Strategy Forum on Research Infrastructures (ESFRI) in 2008. It was later recognised by ESFRI as a landmark project or a key research infrastructure in 2018. The preliminary design review (PDR) of the project was concluded in November 2013, while the critical design review (CDR) process was completed in June 2015. An agreement for the start of construction was signed in November 2016. The first pre-production telescopes will be set up by 2020, while operations of the observatory are scheduled to begin in 2022. Construction of the observatory is expected to be completed in 2025. The project is intended to address multiple questions in astrophysics, including the origin of relativistic cosmic particles and the existence of dark matter. It will explore the very-high-energy gamma radiation ranging from 20GeV to 300TeV, emitted by celestial sources. The first array of the new-generation gamma-ray observatory will focus on the low-energy radiation emitted from extragalactic objects, while the second array will concentrate on the full energy range of galactic sources. Three different classes of telescopes will be used in the CTA project to cover the high-energy gamma radiation up to 300TeV. A total of 118 telescopes, including eight large-sized telescopes, 40 medium-sized telescopes, and 70 small-sized telescopes will be deployed on the project site. The Schwarzschild-Couder Telescope (pSCT), a prototype telescope of the CTA project, was launched at the Harvard-Smithsonian Center for Astrophysics and Fred Lawrence Whipple Observatory (FLWO) in Arizona, US, in January 2019. The pSCT successfully achieved first light on 23 January 2019. The project site is also installed with multiple telescopes, including large-sized telescopes (LST), medium-sized telescope structures (MST-STR), small-sized telescopes, and Astrofisica con Specchi a Tecnologia replicante Italiana (ASTRI). CTAO is equipped with multiple LSTs to capture the small amount of Cherenkov light emitted by low-energy gamma rays. Weighing 50t, each LST features a parabolic mirror with a diameter of 23m. Its camera integrates photomultiplier tubes (PMTs) and will offer a field view of 4.5º to the observers. MST is considered the workhorse of the CTA project. Its 12m diameter mirror is highly sensitive to gamma radiation. High field of view of 7º to 8º offered by the MST enables scientists to conduct rapid surveys on the gamma-ray sky. SSTs are sensitive to the high-energy gamma radiation emanating from Milky Way. Most SSTs are set up in the second array in the southern hemisphere. With a mirror diameter of approximately 4m, the field of view offered by the SST is 9º. 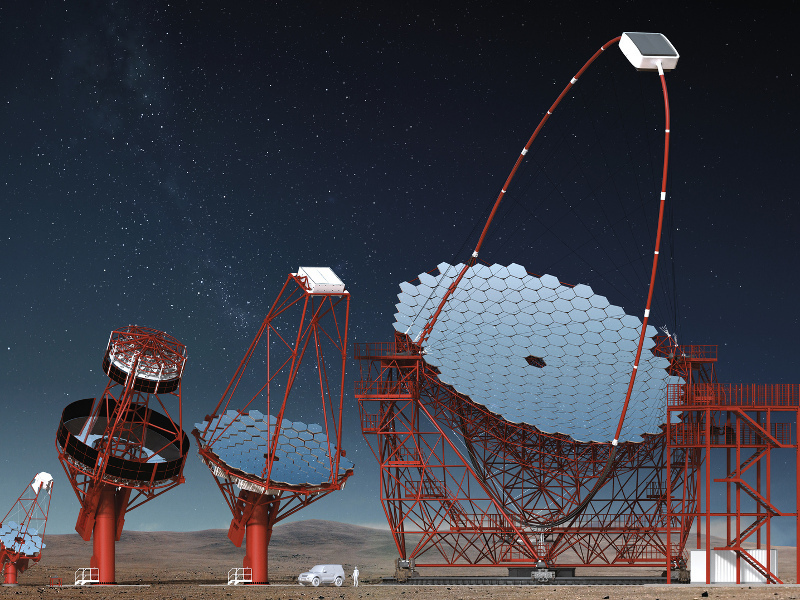 The Cherenkov Telescope Array project is being funded by the shareholders and associate members of the CTAO. It also received financial assistance from the European Union (EU)’s seventh framework programme. Funding is also being provided by the EU under its Horizon 2020 research and innovation programme.